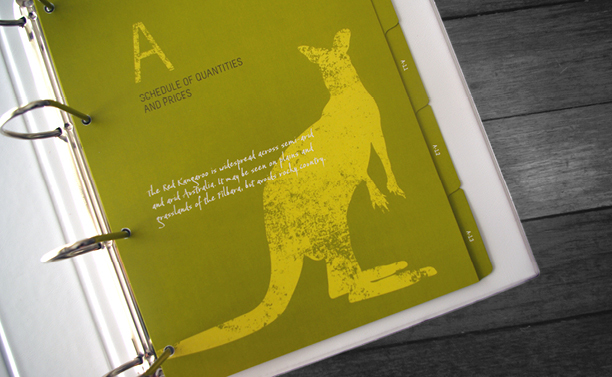 Brief: To design and produce ring binder and tabbed divider sets that visually represented the project. The scope of work included site preparation, construction of permanent buildings and construction village buildings and utilities. 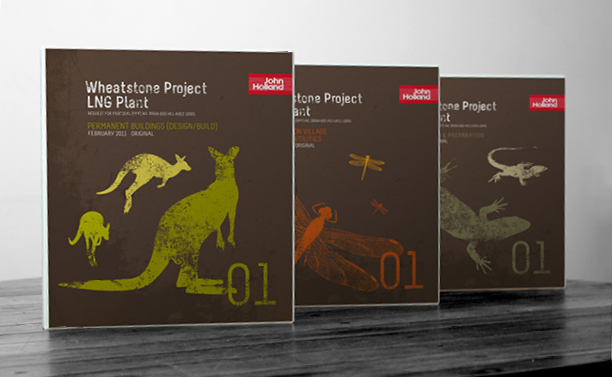 Rationale: There are many native animals that call the Pilbara home, just like the Wheatstone Project workers will. 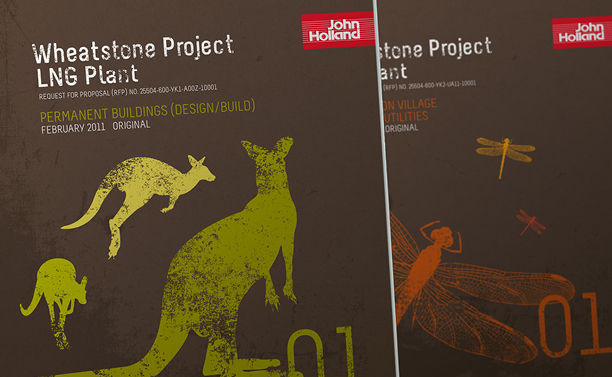 We suggested featuring 1 native animal on each of the 3 tender submissions, along with colour coding each. 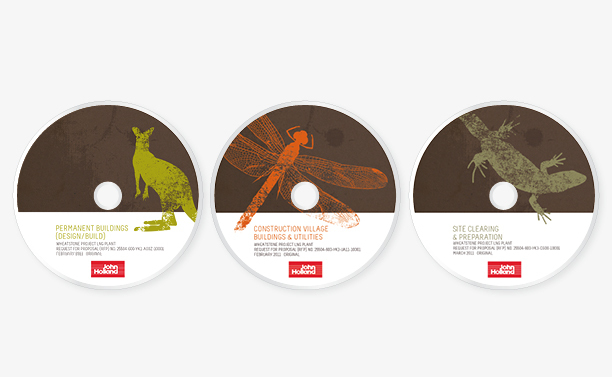 Through the use of colour, type treatment, illustration style and featured native animals, we created eye-catching and engaging submission designs that felt ‘earthy’ and relevant to Onslow and the Pilbara region.